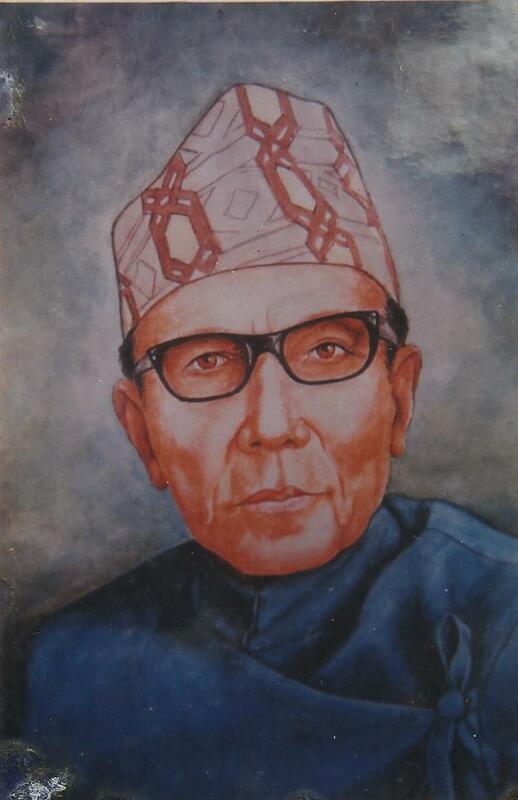 Balkrishna Samser Jang Bahadur Rana (1903-1981),who adopted the pen name 'Sama' which means equal in 1948, is one of the trimurti of early modern Nepali Literature that considered a dramatist or a poet and his reputation as a painter should also be mentioned but as the years passed and his contributions reasseased with the benefit of hindsight it seems likely that this poetry will stand the test of time rather than his plays.The latter,though still highly praised by critics are often assessed by younger writers as heavily dated and decreasing relevance to a society that has changed radically since they were composed.The majority of the poems after his plays represent a major advance in the simplification of poetic diction in Nepali .The relational angestic philosophy they promote with varying degrees of success strike a chord among readers.Unlike his two equally illustrations contemporaries, Sama was a member of the ruling elite and his education and circumstances were therefore radically different.Despite the linguistic simplicity of his poems,is approach was mere electric and intellectual,and less rhapsodic,than Devkota's . Ma Garbha Garchu (1968) is a love poem in which love is expressed paradonically in terms of hatred for the cliched objects of romantic verse that separate man from woman. Manis Svayam Devata Huncha (1968) is perhaps the most succinct expression of Sama's humanism -the theme of a large number of his poems,including the celebrated but somewhat over extended. He was awarded with the Tribhuwan Puraskar from Nepal Rajakiya Pragya Prathistan in 1972. The same year he received the Bishesh Upadhi from Tribhuvan University and in 1978, the Prithvi Pragya Puraskar from Pragya Pratisthan. He died in 1981.